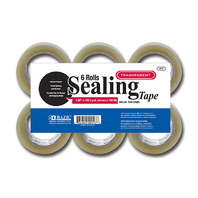 Clear Sealing Tape, also known as packing tape, is versatile for storage and shipping needs. Resistant to splitting and abrasion. Tape is 2" wide and compatible with standard size tape guns (sold separately). Each roll includes 110 yards. 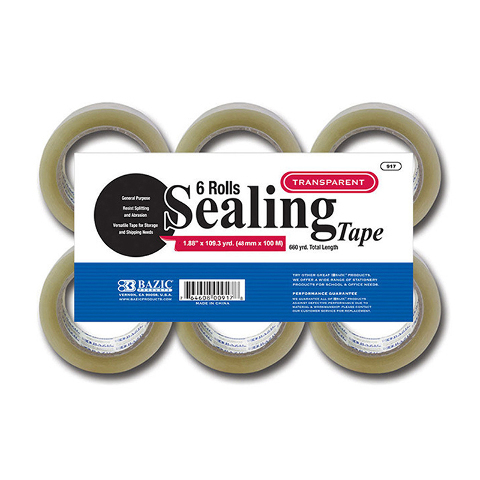 Pack of 6 rolls.